NNTI’s goal is to train practitioners from the U.S. and abroad to nutritionally optimize the brain neurotransmitters that regulate our appetite, mood, energy, and sleep through the therapeutic use of targeted amino acids and dietary rehabilitation. Our methods? Virtual education and a highly individualized Skype case review process. By mastering the tailored use of amino acids, co-nutrients, and dietary therapy our trainees quickly begin to see benefits that impact a wide range of problems. Early on, they typically report amazing successes. For example, they’ve eliminated depression in post-stroke patients; relieved severe diabetes, panic disorder in teenage girls, sleep disorders of all kinds, deep grief, PTSD, and addiction to food, alcohol, or drugs, for which there is so little other hope. Licensed or certified health practitioners from a variety of specialties are welcome to apply for admission to the Neuro-Nutrient Therapy Institute (NNTI). They must already be in practice and able to implement the NNTI strategies into existing casework. They will need to be able to follow and document at least 20 cases and write up and submit progress notes and forms on eight that have been followed for at least a 12-week period. Email a letter describing your background and interest in this advanced training process along with your C.V. to NNTI at info@cravingcure.com. You will be contacted and, if your application is accepted, an admission’s interview will be set up by phone or Skype. The admission’s interview fee is $100/hour. Thyroid and adrenal function and other energy-generating functions and how they are linked to catecholamine deficits. Note: If an applicant has no formal training in nutrition we provide the Food Fundamentals course (described below). While initial readings and CD/DVD sets are reviewed, individual (and, sometimes, group) Skype meetings introduce trainees to the client assessment and monitoring forms, the client assessment process, and a personal assessment and amino trialing experience. The personal sessions, exclusively devoted to trainees’ own emotional, physical, and dietary health, instruct from the inside out, giving them the actual experience of the therapeutic process. As soon as possible, under continued Skype supervision, trainees begin trialing the aminos with family and friends, and then begin treating clients. Trainees will meet individually once per month (or more often, as needed depending on their case load) to review case progress and expand their expertise. Each participant will need to prepare at least two cases to discuss each month, by faxing or emailing intake forms, follow-up Amino Acid Therapy Charts, and any additional material needed, ahead of time. If candidates for certification would like to develop a specialty such as the treatment of depression, anxiety, eating disorders, or chemical dependency, adjustments to the curriculum may be made and additional assignments and consultation offered. A list of Certified Practitioners will be posted on the Julia Ross’ Cures website and at the Virtual Clinic’s intake desk. Certified clinicians may post their own promotional materials as links to juliarosscures.com. They may become NNTI mentors or instructors and be recommended to media and promoted in other ways by Julia Ross whenever possible. 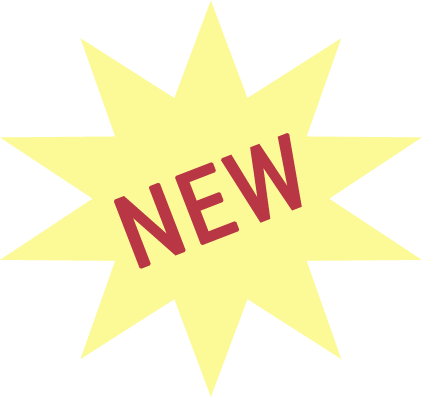 For the first three years, two new cases will be presented annually and discussed with Julia Ross or other Institute instructors whose suggestions (if any) must be followed and implementation documented in order for a practitioner to retain certification and referral status the following year. Our trainees universally find these sessions clinically invaluable. After three years, case write-up submissions will be required at the discretion of the Institute instructors only. Attendance at occasional continuing education seminars (phone or zoom) may also be required. Note: For trainees who also take the Food Fundamentals course (1½ hrs. twice a month for 6 months) the cost will be additional. *Note: For trainees who also take the Food Fundamentals course (1½ hrs. twice a month for 6 months) there will be an additional cost. I. Foundations of amino acid therapy: 6 weeks of live (Zoom) interactive seminars with active Facebook group support. 2 hrs. per week on Monday evenings at 6 pm CST. All classes are recorded. a. Recognizing and Understanding Deficiencies in Brain Neurotransmitter and Blood Sugar Function. i. Evaluating symptoms and history using neurotransmitter deficiency and other questionnaires. ii. Dyad practice between sessions. iii. Each student will also receive an individual self-assessment intake session conducted by the instructor. iv. Dietary Support: Evaluating diet records; adequate protein and calories; fatty acids, fiber, and carbohydrate needs; the vegan question. o When and how to refer for specialized treatment. o Monthly Case-Review and Troubleshooting Groups. 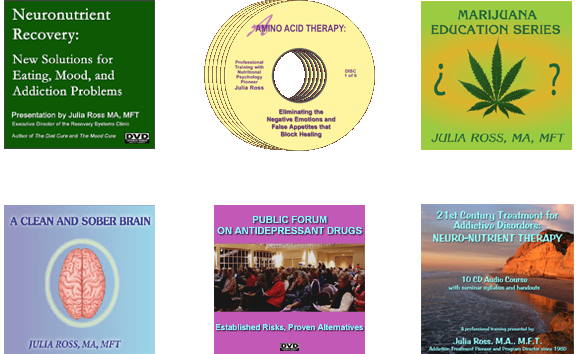 o DVD Alternatives to Antidepressants. Tuition: $3000 to $3500: varies slightly depending on individual mentoring needs. This is an advanced training process for health practitioners already seeing clients/patients: Certified nutritionists, medical doctors (e.g. psychiatrists), nurses, acupuncturists, psychologists, MFTs, LCSWs, NDs, and registered dietitians and others. If potential trainees are new in their practices, we can provide some pre-training coaching to help them get them ready to start seeing clients. But they must have already started seeing clients in order to be admitted to this advanced training and certification process. Group (Zoom) meetings last 2-3 hours each. Our Fall 2018 accelerated curriculum will include eight weekly foundational group sessions (total 16 hours) followed by twice monthly Zoom sessions which will focus on case discussion and advanced topics (16 hours). Homework assignments may follow any group or individual session. Is there a payment installment plan? Trainees pay as they go. The rate is $125 per hour for individual case consultations and instruction (plus the cost of materials). We take credit cards and PayPal. For group sessions, the rate is $100 for two hours.